Ever since I was 16 years old I knew I wanted my belly button to be pierced. 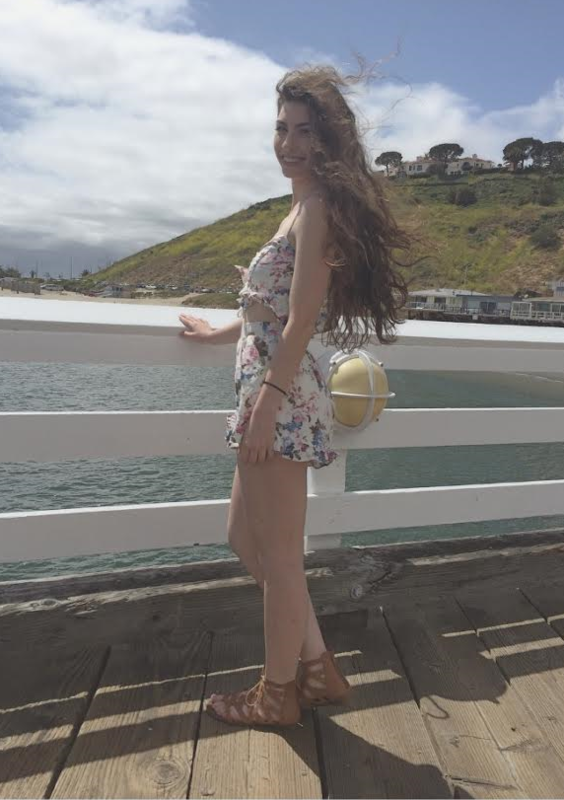 Last year I attended the University of California, Santa Barbara and it was then that I finally decided to pierce it. One of the best things about getting a piercing is that if you end up not liking it, you can take it out. You cannot do that with a tattoo without a procedure. Getting your belly button pierced is relatively inexpensive, with most shops charging between $20 and $50. However the cost will also depend on the ring you choose, and most piercers will recommend that the first ring you put in be standard size. If you want to get your belly button pierced, it is something you really need to think about. The healing process takes about six months. On a scale from 1 to 10, with 1 being it did not hurt at all and 10 being unbearable pain, I would give the pain of getting it pierced a 4. I actually felt like the healing process was a bigger pain. Caring for your new piercing is essential. Ask your piercer how to care for your new bling, or else it can easily get infected. Personally, I used NeilMed’s saline solution for about two months, day and night. It is also recommended that you stay out of the pool for a few weeks after getting it pierced. In order for your piercing to heal quicker, my piercer also told me to wear loose fitting clothes. When the piercing is healing it is very sensitive, so do not touch it (also that’s gross because you have bacteria on your hands) and try to use soaps that are non-irritating to the site. Sometimes when people get piercings, their body rejects it. The best way to ensure that this does not happen is by keeping it sanitized and not irritating it. I also recommend getting it pierced professionally because everything should be sterile. When I got my belly button pierced everything my piercer used was and should be new, clean, and coming straight out of the package untouched. Overall, I really like my belly button ring, but I do not think it is a piercing for everyone. If you are considering getting a new piercing, take the time to take care of it and be patient because sometimes they take awhile to heal. After all, you do not want an ugly scar in the end, you want some bling bling. Eyebrow threading is a form of hair removal made popular in south Asia. The hair is removed from its follicle using a special kind of Indian thread. This knowledge was bestowed on me after walking into Patel’s Threading and Henna Art, located on Ming Avenue in Bakersfield. When you walk into Patel’s, the walls are brightly colored and show pictures that both demonstrate and explain how eyebrows are threaded. The cost of getting your eyebrows threaded at Patel’s is $10. I have tried a few eyebrow threading places, and compared to the other locations, the employees at this business were really nice. Although eyebrow threading is painful, I believe it is worth the cost. In comparison to waxing, threading makes my eyebrows look more symmetric and sharp looking. 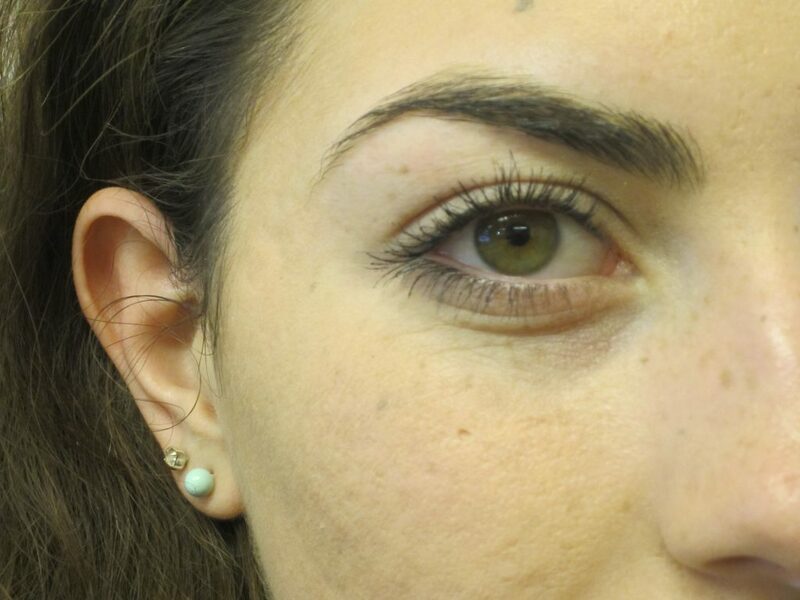 I would recommend Patel’s to other people in regards to eyebrow threading, they did an amazing job and were friendly. I cannot comment on their Henna Art, as I have yet to try it, but it is another service offered by the business. In November 2016 California voted on Proposition 67, to ban the utilization of single-use plastic bags; and it passed. A few days later in many stores, shoppers no longer had the luxury of having a free bag to carry their groceries. I have worked at a chain grocery store in Bakersfield for about two years now, and I have experienced how the ban has affected people. Whether or not a customer voted “yes” or “no” to ban plastic bags does not matter to me. When I have gone shopping, I have been both the customer who would rather carry their stuff without paying for a bag and the customer who paid for a bag. 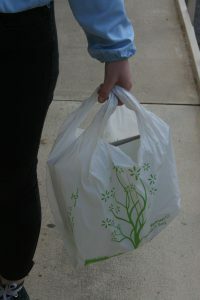 Parts of the Central Coast had previously banned plastic bag usage prior to the November election. Individuals in favor of Proposition 67 argue that the ban will help protect the environment by producing less plastic waste. However, this will only work if Californians participate in reusing their plastic bags, which is the intention of the proposition. If we reuse plastic bags, then the purpose of the ban will be successful. If we do not, we are only fueling the profit of grocery stores as those in opposition to the ban argue. Although grocery stores will profit from selling plastic bags, the ban could also benefit the environment by reducing our waste if we effectively reuse bags. This would reduce litter produced and save wildlife who have been negatively affected by either eating or getting caught in plastic bags. The much anticipated live action version of Disney’s 1991 film “Beauty and the Beast” came out this week on March 17. The opening scene was a bit different than what I expected with the Prince wearing some pretty decorative clothing and make-up. This was not the scene I remembered watching as a kid, but it helped to add to the backstory of the prince’s downfall and to the time period of which the story takes place. In retrospect, the whole film excellently added to the story that I loved as a kid. 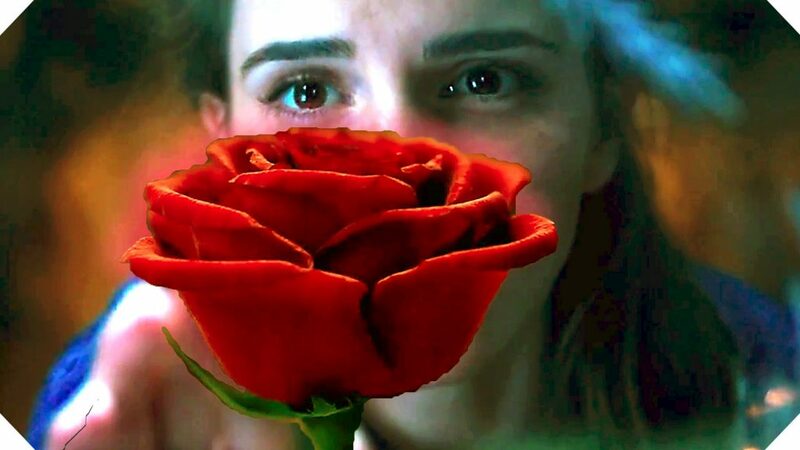 Emma Watson’s character, Belle, was smarter in my opinion because she attempted to find a way out of the castle instead of accepting her status as a prisoner as she appeared to do in the original film. She also does not return the Beast’s affections until he sets her free. Watson has been criticized by many who insist that she is not a feminist for making this film. This is because they claim her character, Belle, has Stockholm syndrome, in which a person falls in love with their captor which would be the Beast in this case. I do not agree with this claim because of how they added more of a back story to her character, and in addition, she seemed to fall in love with the man behind the beast and not the mean beast himself who made her his prisoner. Many people are also unhappy with the fact that Disney made the decision to have two men dance together in the last scene of the movie. I read on Facebook that it has actually been banned from certain areas. I personally was unaffected by this addition to the scene, as he seemed pretty flamboyant from the start, both in the original and in the live action film. Overall, I loved this remake of Disney’s “Beauty and the Beast.” The computer generated imagery was close to perfect, and the ballroom scene was beautiful. The added backstory of the beast and Belle’s life prior to Belle’s imprisonment gave insight into their motives to perform certain actions and behaviors.